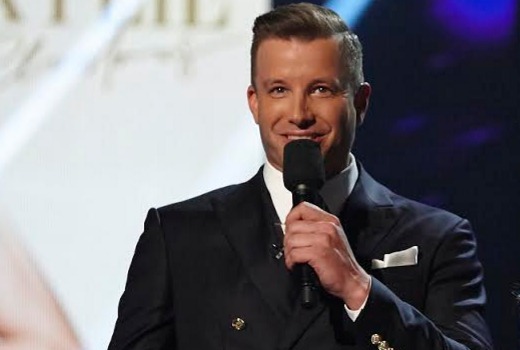 X Factor host Luke Jacobz has indicated he is parting ways with The X Factor after 6 seasons. The former Home and Away star famously stepped into the hosting role at the eleventh hour after Matthew Newton was dismissed from the show, shortly before its 2010 launch. While Seven has regularly refresh the judging panel, it is yet to have another host front the show, leaving a guessing game to begin for 2016. Another hosting job for Bruce McAvaney and Johanna Griggs. Seven just love them hosting. Seven will appoint from within. Gotta be Millsy or Sam Mac, both have been doing guest weather spots on Sunrise lately. Or what’s the bet they give it to Johnny Ruffo ala Olly Murs who is now hosting in the UK. Millsy and Demi Harman would be a good pairing if they went for a male/female duo to chase a younger audience. He’s actually pretty good, he has the right amount of enthusiasm and cheesiness for this role. Rob Mills would be a good replacement or maybe Sam Mac, who I think is with Seven now. Shura Taft – Yes. Scott Tweedie – Yes. Rob Mills – Yes. Scott Dooley – Yes. Sam Mac – Yes. Smallzy – Maybe. Nat Bass – No. Dan MacPerson – No. James Matherson – No. All been done and dusted on our screens. Time for something refreshing and new! What about Shura Taft as a replacement? I loved Luke thought he did a great job even though many others didn’t think so. I did notice however he seemed to be stuffing up a lot the past few weeks maybe this is why. Yes agree that Chris and James were both fantastic – much better than expected. Would love to see Craig McLachlan as the new host or even a judge – he has a wicked sense of humour and definitely qualifies regarding the musical side of things. Doubt it would happen though as he is bound to have many other commitments. Its sad to see him go but don’t replace with Scott Tweedie. I don’t like him at all. I don’t know who but anyone but him. I think Nat Bass would be perfect. She can host (SYTYCD) and would add a bit of glam to it. I am a big fan of the show but feel they need to go back to 2 female and 2 male judges even though I liked all judges this year. Daniel McPherson to host! Then can compare it to the original X factor back on 10. I thought he did a great job as host and was surprised that there seemed to be this niggling in the last 12 or so months that they weren’t happy with him, he seemed to tick all the boxes and did a great job. Wonder who they will put in for next year? Maybe James Mathison?? Darryl Sommers would be the perfect host and lets go with new judges as well – John Paul Young, Renee Geyer and for international super stars – Barry Manilow and David Cassidy…. That is a ratings bonanza right there!!!! I assume you are being ironic – please! Daryl Somers – he is under Channel 9, You’re Back in the Room. First time caller, long time listener. Love the site David! On here most days. I saw him at the Spectre premiere and asked what was in store for next year… He said still ‘The Loop’ and that little Movie show he does that Ten airs at weird times, and “some things are in the pipeline”… which we all know means “not much”. My family still loves Scotty – it would be great to see him on our screens more! My B) Option would be that Nathan from Saturday Disney. But he is very similar to Luke Jacobz. Please don’t throw a reality contestant into the job. It was this year he lost his license, thanks. I knew he got done for drink driving and lost his license, just couldn’t remember when. Hope like hell he had a driver. I watched X Factor on and off this year, and definitely feel it needs a refresh. James Blunt never seemed very happy to be there and the judges didn’t seem to have a great rapport with each other. Despite being touted as the ‘new’ X factor, the format (apart from the chair thing) was exactly the same and all in all, a little boring!! The tired format is also reflective in the UK where ratings there have crashed….. He has been a good host and I think he is right to move on. His constant hyperbolizing especially this year has started to wear thin and I think a fresh face is needed. Scott Tweedie could be a good choice or maybe Nat Bass could come back and host. He will be missed, unlike most of the judging panel. Replace him with Scott Tweedie from The Loop. He would bring the much needed younger viewers. Daily Mail published an article a while ago in which James Blunt indicated he is unlikely to return.